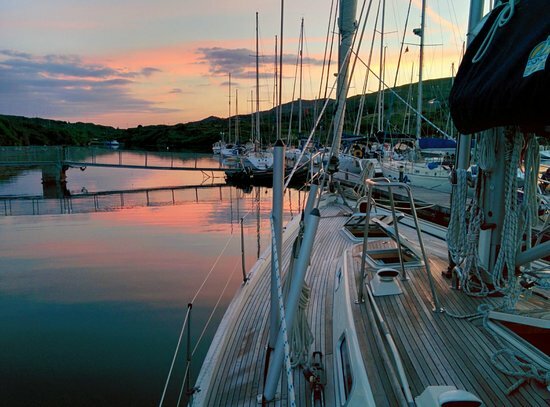 Located on the south side of Berehaven and the north side of Bere Island, Lawrence Cove Marina is well sheltered and suitable for short and long stays. Full facilities: Water, Electricity, and Diesel on the Pontoons. Showers, Toilets, & Laundrette ashore. The Marina craft shop also sells wine. It’s just a 10-minute walk to the island’s village shop, Post Office, and pub. You can take a ferry to the mainland and buses to Cork provide easy access for crew changes. Winter Hard Stands are available.